This article is a revised version of a paper originally presented at the 'Scenes of Writing, 1750-1850' conference, held 20-23 July 1998, in Gregynog Hall, Wales. J. AARON. ' "Saxon, Think not All Is Won": Felicia Hemans and the Making of the Britons', Cardiff Corvey: Reading the Romantic Text, 4 (May 2000). Dread music all its own. But a mightier power, my England! And yet, merely a glance at the contents pages of a ‘Complete’ Hemans shows that the poet was equally capable of empathising with the ancient mountains of her own isle as they ‘stirred’ to the pealing note of an anti-English patriotic war cry. In poems such as ‘Chant of the Bards before Their Massacre by Edward I’ and ‘Owen Glyndwr’s War-Song’, the poetic voice takes up arms on behalf of the Welsh nation, in its struggles against its thirteenth-century conquerors and its later rebellions against English rule. When Hemans’s Welsh patriotic verses were published in the 1821 volume Welsh Melodies, she was hailed by her contemporary Welsh audience as a ‘poet for Wales’, and made an honorary member of the Royal Cambrian Institution in acknowledgement of her role as a popularizer of Welsh national identity. By birth of mixed Irish, Italian and German ancestry, Hemans appears to have been gratified by this reception. According to her own testimony she regarded herself as a naturalised Welsh woman, having resided in north Wales since 1800, when her father’s failed business necessitated a family retreat from Liverpool to Abergele in Denbighshire: Felicia Browne, as she then was, was seven years old at the time. Cefn yr Ogof Pass, which loomed up immediately behind the Brownes’ new home, for centuries was a key battle site between the princes of Gwynedd in their strongholds in Aberffraw and Dolbadarn to the west and the invading armies of the Saxon, Norman and Plantagenet kings of England, coming over Offa’s Dyke to the east. According to the nineteenth-century Welsh historian Jane Williams, ‘no spot in the Principality has been more thoroughly saturated with blood’. This spot was Hemans’s ‘scene of writing’ from 1800 to 1828, during which years she composed by far the major part of her oeuvre. At the time of the Browne family’s arrival in Abergele, a revival of antiquarian interest in Celtic history, led in Wales by the recently established societies of the Cymmrodorion and Gwyneddigion, promoted a local enthusiasm for the old battle sites and their histories, in which Felicia, as a young woman, seems to have participated. As some of her verses in Welsh Melodies are translations from Welsh-language originals, it would appear that she could also at least read, if not speak, Welsh. Up through the blue resounding firmament. Whence came the echoes to those numbers high? With their good swords, upon the mountain’s breast. Land of the bard! our spirit flies to thee! Our dreams are haunted by thy voice of song! Free, free the white sail spread! 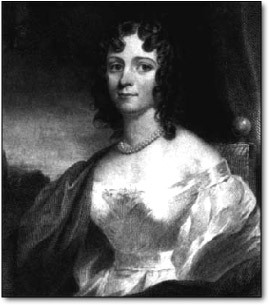 Poems like ‘England’s Dead’ established Hemans’s reputation, and accounted for both her immediate and subsequent extensive popularity during the nineteenth century, not only in Britain but in its most far-flung colonial settlements. But the fact that Hemans’s Welsh patriotic poems by no means gained the same degree of international prominence in later Victorian culture as did her English nationalist verse is, of course, in part the consequence of the vast difference in terms of influence and power between the two nations at that time, and should not blind her late twentieth-century readers to the paradoxes in her position. Is it possible to be the national poet of two nations at once, particularly given a scenario in which the existence of one of the nations in question can only be constructed at the cost of deconstructing the ‘greatness’ of the other? Not insubstantial numbers of England’s military dead, albeit of an earlier date, rested beneath Hemans’s own back doorstep in Abergele, but, in the poems in which she evokes the battles in which they died, it is to their opponents that she accords her moral appropriation and patriotic fealty. In this paper, I intend to explore this apparent contradiction further, not only in relation to Hemans’s own writings, but also in terms of its significance for the construction of early nineteenth-century British—as opposed to either Welsh or English—identity. Immortal Freedom! daughter of the skies! To thee shall Britain’s grateful incense rise. Still be thy Albion brighten’d with thy smile! The desecrator of the goddess Freedom is of course the ‘Despot of France! destroyer of mankind!’ who in 1808 continued to challenge the forces of Liberty through his attempts to annex Spain. ‘Wouldst thou yet by added crimes provoke / The bolt of heaven to launch the fatal stroke?’ the young Felicia asks of Bonaparte? Of all to mortals sacred and endear’d? The soul of life, the source of bliss divine? The patriot-arm of freedom to restrain. And bid oppression fall—to rise no more! But ‘England and Spain’ is not a poem which glorifies war as such, as opposed to necessary wars in defence of Liberty: it closes with an eulogy to the ‘sweet Peace’ which will return once ‘mad ambition has ceased to rage’, and Napoleon has finally been taught his lesson. The ‘demon-breath’ of war will be assuaged when ‘the despot’s dread career is closed, / And might restrain’d and tyranny deposed!’ (pp. 6 and 9). After 1815, however, the problem for both Hemans on a personal and familial level, and for Britain’s image on an international level, was that although Napoleon’s ‘mad ambition’ duly ended with his final surrender, neither Britain, nor the Browne brothers, nor the infantry captain Felicia had married in 1812, did in fact lay down their arms. On the contrary, the Waterloo period, and the years immediately following Napoleon’s downfall, saw Britain annexing territories and conquering kingdoms with as much avid imperialist greed as the French ‘tyrant’ had shown at his most despotic. The Ascension Island, British Guiana, the Ionian Islands, Malta, Mauritius, the Seychelles, Trinidad, Tristan da Cunha, Tobago, and other territories ostensibly ‘freed’ from Dutch or French rule during the Napoleonic wars were annexed to the British Empire in the settlements of 1814 and 1815. The Cape of Good Hope became a British colony in 1814; the King of Kandy was deposed and Ceylon taken in 1815; the Himalayan kingdom of Nepal conquered in 1816; Singapore taken in 1819; Gambia and the Gold Coast placed under the British Crown in 1821; the Burmese kings conquered in a series of engagements which began in 1824; and Western Australia, Queensland and Tasmania established as British territories in 1824-26. These military engagements, bloody and long-lasting as many of them were, were not easily construable as fought in the name of Britain’s, or any other nation’s, freedom. And yet Felicia, as much as her brothers and husband, had founded a public career on her role as upholder and popularizer of Britain’s image as the heroic defender of smaller nations’ liberties against the greed and aggression of more powerful states. Around her still gathering in glory’s full hour. In so far as the last line quoted above means anything at all, it presumably refers to that British naval supremacy which was the primary cause of Napoleon’s downfall. The poet, then, speaking as a prophet, appears to be exhorting Britain’s aboriginal tribes to take an active pride in its future nineteenth-century imperial triumphs, and to see them as redeeming their lost honour and liberties. Both the Scots and the Welsh are pre-eminently interpolated as heroic freedom-fighters in Hemans’s verse of this period. Here the ‘Saxon’ features as a brute materialist, unmindful of the power of poetry and the resistant spirit of the freedom fighter mystically united with his land, but the ‘Angles’ are not necessarily implicated in his disgrace. Even as late as 1400 to 1415, during the period of Owain Glyndwr’s ill-fated rebellion, the Cambrians are still only fighting the Saxons in Hemans’s poetry, although by then it would appear a gross historical inaccuracy to designate their enemy as anything other than English. ‘A sound is on the breeze,’ says the doomed but still resistant Owain, ‘A murmur as of swelling seas! / The Saxon on his way!’ (p. 149). In the interest of constructing the image of the Britons as a united family of liberty-lovers, Hemans appears ready to sacrifice that lower-ranking, and not even Christian, churl, the Saxon, but ‘the name of England’ must not be defiled. Nor did the historical heroes of Catholic Ireland find inclusion in Hemans’s Great British fighting family. Irish freedom fighters are not registered in her roll-call of the great, which with hindsight was just as well, given that, after she finally left Wales in 1828, Hemans was to spend her last years in the Dublin residence of her brother Lieutenant-Colonel George Browne, the then British Commissioner of Police in Ireland. As her brother was tasked with the repression and policing of any incipient contemporary uprisings against the British Crown in Ireland, it would have been curious, to say the least, had family loyalties compelled him to welcome to his home one who had espoused in her verse the cause of those rebels’ predecessors. But Hemans’s ‘Fair Isle’ is always singular, a Britannia without Ireland, and a Britannia which, moreover, after 1821, with British unity and its global supremacy apparently secularly established, she reverts to calling simply ‘England’. 1. Felicia Hemans, ‘The Name of England’, Poems of Felicia Hemans (Edinburgh and London: Blackwood, 1852), p. 567. All subsequent references to Hemans’ poetry are taken from this edition. 2. Jane Williams, The Literary Women of England (London: Saunders, Otley, and Co, 1861), p. 393. 3. Hemans, ‘The Meeting of the Bards’, Poems, pp. 246-47; the italicised last line is a translated quotation from the Welsh Eisteddfod prayer—’Yng ngwyneb haul ac yn llygaid goleuni’. 4. Linda Colley, Britons: Forging a Nation 1707-1837 (New Haven and London: Yale University Press, 1992), p. 322. 5. Edinburgh Monthly Review 2 (1819), on Felicia Hemans’ prize-winning poem ‘Wallace’s Invocation to Bruce’. Tales, and Historic Scenes, in Verse. By Felicia Hemans. (London: John Murray, 1819). 116p. The Sceptic: A Poem, by Mrs. Hemans. (London: John Murray, 1820). 38p. Stanzas to the Memory of the Late King. By Mrs. Hemans. (London: John Murray, 1820). 16p. The Siege of Valencia: A Dramatic Poem. The Last Constantine. With Other Poems. By Mrs. Hemans. (London: John Murray, 1823). iv, 319p. The Vespers of Palermo: A Tragedy, in Five Acts. (London: John Murray, 1823). 116p. Records of Woman: With Other Poems, by Felicia Hemans. (Edinburgh: William Blackwood, 1828). viii, 320p. The Sister’s Budget: A Collection of Original Tales in Prose and Verse; in Two Volumes. By the Authors of “The Odd Volume,” &c. With Contributions from Mrs. Hemans […] (London: Whittaker, Treacher, 1831). 2 vols.